Recommendations from the recently released review of Australian Charities and Not-for-profits Commission legislation were positive overall, but there were a number of key missed opportunities, writes policy and research manager at Philanthropy Australia, Sarah Wickham. One of the key themes explored at the recent Philanthropy Australia national conference was the declining trust in our institutions. The results of the 2018 Edelman Trust Barometer, provide concern for those passionate about the Australian charitable sector. Especially as, for the first time ever, Australians trust in the NGO sector has dropped under 50 per cent (a decline from 52 per cent to 48 per cent in the last 12 months), clearly part of a broader global trend with NGO trust declining in 14 out of the 28 countries surveyed. So what has this got to do with the recently released review of the Australian Charities and Not-for-profits Commission (ACNC) legislation? From my point of view, a well-regulated charitable sector is essential to ensure that Australians continue to view charities as legitimate. A strong regulator also plays a critical role in fostering a culture of giving in Australia, which brings many benefits to the community. Over the first five-year lifespan of the ACNC, an extraordinary amount of work has occurred to establish the strong foundations of best practice regulation and effective stakeholder engagement. This is especially impressive given some of those initial years were also spent fighting for its existence. The leadership of the ACNC’s inaugural commissioner, Susan Pascoe AM, and the ACNC’s assistant commissioners Murray Baird and the recently departed David Locke, should be commended. Their tireless work in getting the ACNC up and running in such a professional manner was a key reason why the sector so strongly supported it, convincing the government to retain it. It was encouraging to see active community engagement with this statutory required review including over 172 public submissions and meetings with 215 stakeholders across the country as the ACNC review panel developed their report, which was tabled in Parliament in August. It was encouraging to see how engaged the review panel was throughout the consultation process, reaching out to meet with stakeholders and hear as many perspectives as possible despite the tight timeline. The good news is that the entire charitable sector can breathe a collective sigh of relief as the recommendations of the report were overall positive, acknowledging that the ACNC regulatory framework is generally working well, and that wholesale change isn’t required. No doubt, with any new regulatory framework, there will always be challenges, however it is reassuring to see the panel recommend action in the short to medium term to address emerging concerns and challenges arising for the sector. It was also positive to see the report endorse the #FixFundraising campaign to amend the Australian Consumer Law framework as the best mechanism for fundraising reform. Given our sector has been pushing for reform in this area for the best part of two decades, this is certainly a welcome recommendation to many. From my perspective, there were two key missed opportunities from this review. The first, which was raised in a number of public submissions but not directly addressed by the ACNC panel report, was the need for increased resourcing for the regulator. When the ACNC was established, it was only resourced to fulfil the first object in the ACNC Act. Naturally, this limits not only the ACNC’s ability to fulfil the other two existing objects in the act but also from pursuing additional work. Despite the lack of recommendation directly addressing the topic of resourcing, I would encourage the government to work with the ACNC to assess the adequacy of resourcing for fulfilling its work now, and into the future. When you consider the growing challenges, the charitable sector is facing – privacy, technology, governance and transparency among others, the ACNC will require additional support to ensure it can effectively carry out its job into the future. The second missed opportunity was Philanthropy Australia’s recommendation (also raised by others) to enable the regulator to protect the charitable assets of a deregistered charity. At the moment, when the ACNC deregisters a charity with assets, its powers to ensure that those assets are used for charitable purposes are limited, and in many cases it must rely on state attorneys-generals to step in (something they can be reluctant to do). Given the assets of deregistered charities may include funds received from donors to be used for charitable purposes, we need to ensure that those assets are protected. Options the government could consider include using an approach similar to Canada’s “revocation tax”. These funds could then, for example, be distributed to other charities via a grants program or provided to community foundations to manage for the benefit of the community. But for now we wait for the government’s response to the review, which may be further delayed given the recent changes to ministers, with Assistant Minister Senator the Hon Zed Seselja taking on responsibility for the ACNC. I do wonder if the ACNC review will be high enough on the federal government’s agenda to release their response prior to the federal election, which we expect to be called within six to nine months. We shall see. It will be up to all of us in the charitable sector to ensure that the review is prioritised, and that we get the kind of government response which we need in order to have an effective ACNC and a strong sector. 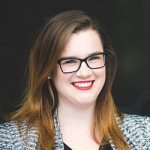 About the author: Sarah Wickham is the policy and research manager at Philanthropy Australia.